My Turkish-style baklava is freshly baked using 100% vegan ingredients. All trays are baked and delivered within 24 hours for the freshest taste possible. To place an order, please call 732-766-8026. 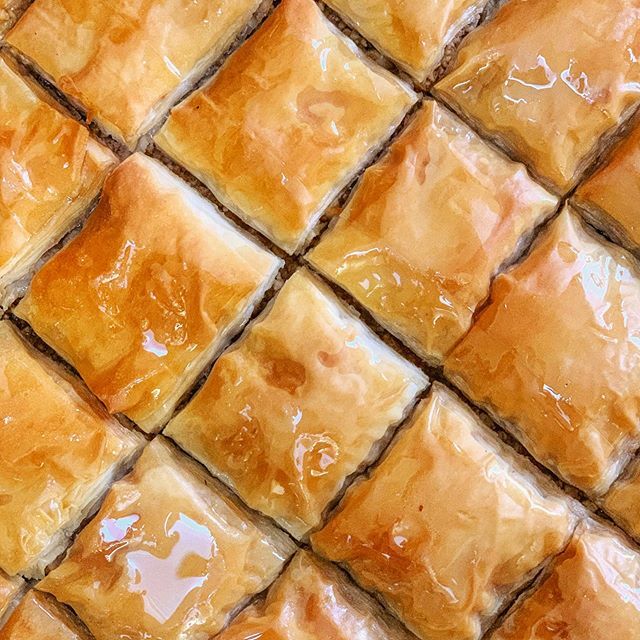 One taste and you'll never go anywhere else for your baklava cravings! The Vegan Market is a monthly indoor pop up with Brooklyn's best vegan vendors. It's at the Market Hotel. Come see me! 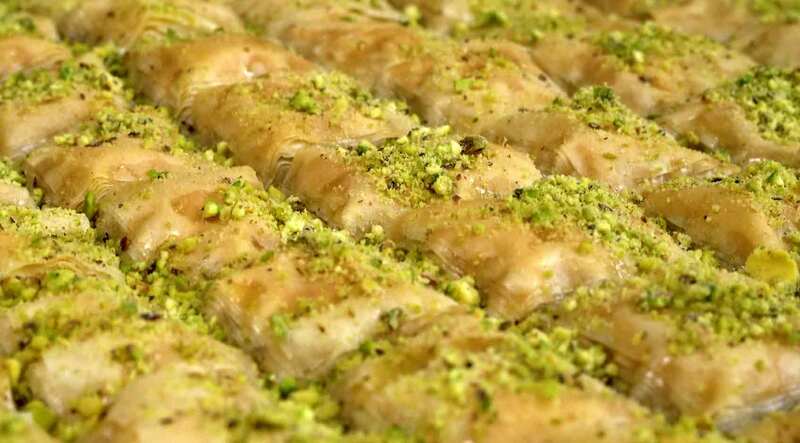 Baklava is a rich, sweet dessert pastry made of layers of filo dough, filled with chopped nuts and sweetened and held together with syrup. Although it's history is not well documented, it's current form was likely developed in the kitchens of Istanbul's Topkapı Palace. My baklava is made to order from 100% organic, vegan ingredients. That means no dairy or honey is used during the creation of any of my delicious desserts. Why? Because I love animals, and because it's better for the environment. Visit The Baklava Lady on Facebook. Website Design by Hush Park.